The beagle is one of the most popular scent hounds because of his energy, willingness, and merry, sweet disposition. The breed probably originated as a cross between the Harrier and other hounds in England. The beagle has been used in packs, alone, and in pairs, for hunting hare, pheasant and quail. He has also served as an excellent narcotics detection dog and makes a fine family companion. Unfortunately, because they are fairly uniform in size and small, beagles are often used for medical experimentation. The beagle is a gentle, sweet, lively and curious dog that just loves everyone! A happy little tail-wagger! Sociable, brave and intelligent. Calm and loving. Excellent with children and generally good with other dogs, but because of their hunting instincts, they should not be trusted with non-canine pets, unless they are socialized with cats and other household animals when they are young. Beagles have minds of their own. They are determined and watchful and require patient, firm training. It is important you are this dog's pack leader and that you provide the proper amount of mental and physical exercise including daily walks. 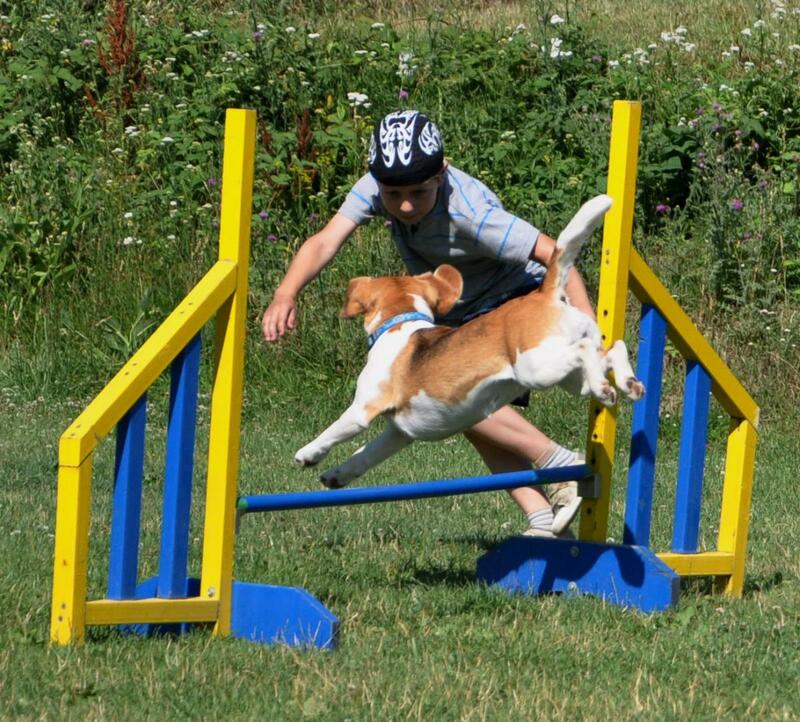 You can also purchase animal scents and play tracking games with your beagle to help satisfy their instinct to track. A beagle has a loud baying cry that was a delight to hunting horsemen, but can be disturbing to family and neighbours. Beagles have a tendency to follow their own noses. They may take off on their own exploration if let off their leash in an unfenced area. Once their mind, and nose are on a scent, they may not even hear you calling them. Beagles who are allowed to be pack leaders over their humans can develop a varying degree of behavior issues, including, but not limited to, guarding, obsessive barking, snapping, biting, and destructive behaviors when left alone. These are not Beagle traits, but rather behaviors brought on by lack of leadership and or exercise, from their humans. The behaviors can be corrected when the dogs instincts are met.